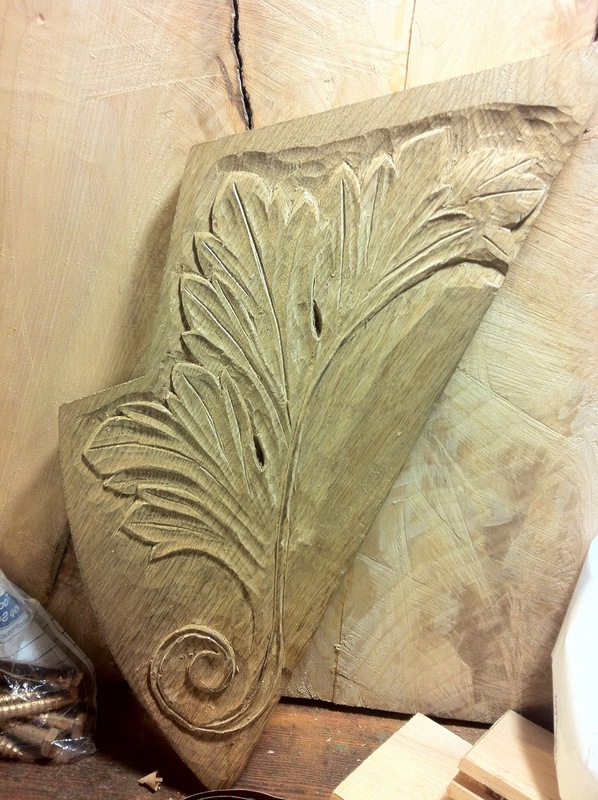 Acanthus leaves are a common part of classical decoration. Part of the classical Corinthian style, they area a motif that has aged well, and can be made to look both classic and modern, sometimes simultaneously. curiously, much of the acanthus in decor bears little actual resemblance to the leaves of the acanthus plant. This example from the Palatine hill in Rome is a pretty good example. pictured is one of a set of hanging knees supporting the deck of my boat in the cockpit area. once the deck goes on, this will not be readily visible to anyone who is not crawling around where they shouldn’t be, but it seemed worth it nonetheless. 17 more to go, but I’ll be trying out a different design on each one. This entry was posted in Art, Boat building, Craft on June 6, 2013 by psgouros.